Yes, I too have ‘Get fit and return to yoga’ on my list. Also on my list of well-meaning resolutions is to do an adventure/activity holiday. I’ve always wanted to do the Inca Trail. It’s not the grueling hike that appeals to me, but rather the wonder of arriving at sunrise and witnessing the ancient, mysterious world left behind by the Incas. Take the train, I hear you say, which of course would be the sensible thing, but imagine the sense of achievement I’d feel if I hiked all that way? Exploring somewhere new and learning something new has to be one of the best things for your body and soul. When I was in Australia myself and a few friends signed up for our first surf lesson. We battled through massive waves, got mashed around, and after an hour and a half all I had to show for it was a deep cut down my leg and limp arms. Yet, I was smiling. I’d not mastered standing up, but I’d loved the physical challenge of trying to. I was outdoors, with friends and trying something new. I loved it. I realise the word ‘activity’ whilst on holiday sounds sacrilegious, but it only has to be as active as you want it to be. Experienced walkers may challenge themselves to treacherous mountain trails, surfers may seek out scarily high waves and cyclists may take part in stages of the Tour de France. Yoga in India is more my style these days. Or a long distance walk in the Highlands, a snowmobile safari in Finland, a trek through the Rockies. When I think of it like that then the term ‘activity holiday’ doesn’t sound so scary. In fact it sounds like a fabulous adventure not to be missed! The small, rugged island of Sardinia is a favourite summer escape for Italians, a coastline peppered with stunning beaches and crystal clear waters being the main attraction. Experienced hikers can trek the Selvaggio Blu Trail, one of Italy’s most challenging treks on the east coast of the island. The 30km trail skirts the towering limestone cliffs overlooking the Orosei Gulf (also fab for diving and boating). Suitable for experienced hikers, it is advisable to take a guide as parts of the trek involve abseiling and some dangerous ascents. The trail is north of Santa Maria Navarresse and finishes at Cala Sisine. There are various options – some companies will provide daily boat transfers to and from the trail with accommodation in hotels, while others camp out along the trail. Watersports – The northern and eastern coast of Sardinia has some of the most beautiful beaches and has endless opportunities for those seeking water activities. Sailing is very popular, with people renting boats and exploring the small, hidden coves and pristine beaches littered around Sardinia. The Maddalena Islands, located off the northern coast are a honeypot for boaters, however as they are a national park it’s important to research restrictions. Palau is the jumping off point for the islands and the nearby Porto Pollo is famous for windsurfing, kitesurfing, sailing and some of the best beach parties! Wilderness Journeys do a great sea kayaking trip in the Bay of Orosei where you get to explore hidden coves, secret beaches, camp out under the stars and enjoy the delights of Sardinia’s finest food and wine in local agriturismos. Walk or cycle the Costa del Sud, a 20km stretch of road in the south, known as one of Sardinia’s most scenic drives. Backed by olive groves and eucolyptus trees overlooking the turquoise waters below the relatively quiet stretch offers incredible views. This is not for the unfit and plenty of water should be taken. Scotland is renowned for its stunning scenery, rugged mountains, national parks and wildlife. 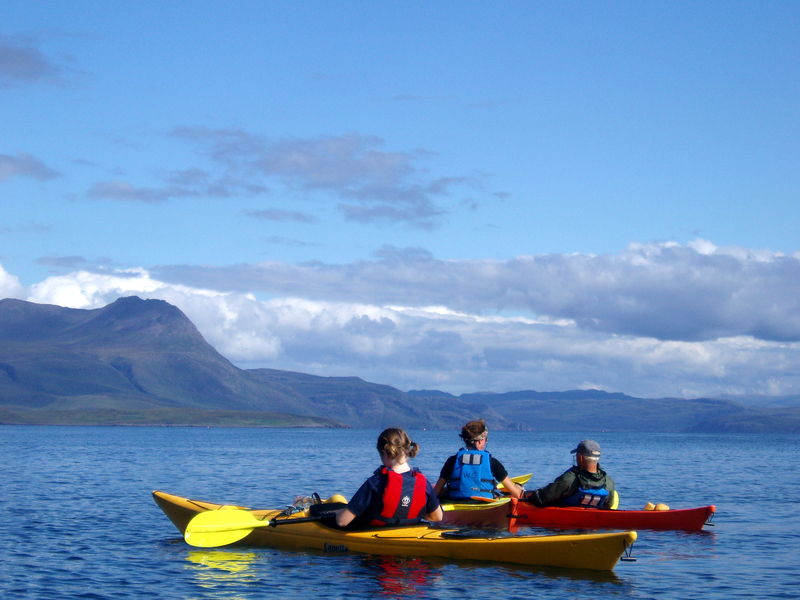 If you’re looking to escape for an activity break, the Highlands is the place to go, packed with long distance hiking and mountain biking trails, sea kayaking, skiing and lots more. Long distance trails such as the West Highland Way or the newer East Highland Way bring you across mountains and national parks, over rivers and lakes and tend to be less touristy than other European alternatives. You can spend a week along the trails staying overnight in village accommodation along the route. In winter the region experiences close to artic conditions, with snow and below freezing temperatures. There are five ski centres in Scotland and they are all relatively accessible, although Cairngorm National Park is probably the more popular. Snow walking in Ben Nevis and in a number of the national parks is also a popular winter activity. It’s possible to explore the region independently, however, your own transport is essential and accommodation should be arranged before your trip as it can be booked up during the summer months. However, there are plenty of companies who can arrange the trips for you, giving you the safety of a guide and taking you to more remote regions. Wilderness Scotland has been running activity holidays in Scotland for ten years and their trips take people into the wilder, more hidden parts of Scotland. Their trips vary from hiking, skiing, snow walking, sea kayaking, climbing to combining a range of activities over a 4 – 7 day period. A great trip for families is their new family Adventure Holiday where families head to Cairngorm National Park and experience a range of activities – hiking, canoeing, biking and even spend a night in a luxury campsite. Family visits to Santa in Lapland are popular in the lead up to Christmas, however there’s lots more to see and do in Northern Finland, its vast wilderness a playground for those looking for some winter adventure. There are a number of stunning national parks where you can partake in husky and snowmobile safaris, snow shoeing, skiing and of course, all this can be done beneath the northern lights. These trips are best booked through agencies as the logistics of getting to the remote areas where transport is only by sled or snowmobiles is very difficult. KE Adventure Travel have an Arctic Wilderness Week in Finland, where you learn all about the Arctic’s alternative transport by taking part in a 2 day dog sledding, staying overnight in a wilderness cabin, a snowmobile safari and you also do some ice-fishing and snow shoeing. Another place to view the magical Northern Lights is Norway. I just saw this deal with Joe Walsh Tours – The Arctic Circle. You fly into Kirkenes in the Arctic Circle, stay in a guest house, soak outdoors in a jacuzzi and prepare for days filled with a husky safari, snow-shoeing, sledging and even a bit of spa action. Now that’s what I call an activity holiday! Another reputable company is The Adventure Company who organise trips throughout the world, including a cool one for families to Egypt!